When spouses separate, the expense of litigating claims for alimony and equitable distribution can add up quickly. While spouses often do not see eye-to-eye about the division of marital property and the amount of spousal support, they are usually in agreement about one thing: they want to become divorced. An uncontested divorce is one of the simplest actions in family law. For this reason, many clients try to save money by handling it themselves. Clients who handle their own divorces often make mistakes due to their inexperience and lack of knowledge of the legal process. These mistakes end up costing clients additional time and money, and most importantly, may delay your divorce by weeks or even months. This can be particularly detrimental to those who have upcoming plans to remarry. Below are four common mistakes made in the DIY divorce process. 1. 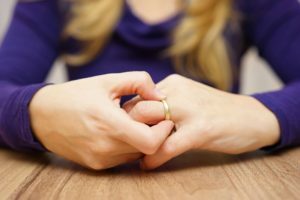 Incorrect Filing Date: In North Carolina, a divorce lawsuit must be filed at least a year and a day after you and your spouse physically separate. It is improper to file your divorce exactly one year from your date of separation. If it is filed too soon, it will have to be dismissed and refiled at a later date, causing undue delays in the process. 2. Incorrect Service of Process: After filing your divorce complaint it must be served on your spouse, typically by sheriff or by certified mail. If you serve it by certified mail, you will need to file an affidavit of service when you receive the returned green card via U.S. Mail. You will also need to file a notice of hearing with the clerk, adhering to the notice requirements of your jurisdiction, and serve the notice of hearing on your spouse. Lastly, you will need to serve your ex-spouse with the divorce judgment once it is entered by the judge. Missing any of these steps may cause delays in your divorce proceeding. 3. Incorrect Testimony: If an attorney handles your uncontested divorce claim, it is highly unlikely you will need to be present in the courtroom. However, if you handle the divorce yourself, you will be required to appear and provide testimony to the judge. You will need to testify to certain specific information contained in your complaint. 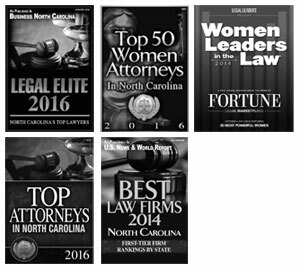 Some North Carolina judges are lenient and will ask follow-up questions if you miss any required information. However, the judge is not required to assist you with your testimony and has discretion to either dismiss your complaint entirely or leave the matter open and reschedule for you to appear on another date to try again. 4. Nonpreservation of Claims: Once an absolute divorce judgment is entered, your right to file claims for spousal support and/or property distribution is cut off and you are barred from asserting these claims at any point in the future. To avoid forever losing the right to pursue these claims, you should consider filing claims for alimony and equitable distribution (if they apply to the facts of your case, of course) before the divorce judgment is entered. It is important to talk with an attorney if you are unsure as to whether you should file these claims. If you have filed these claims prior to or in conjunction with your absolute divorce claim, make sure the divorce judgment states these claims shall be preserved for later adjudication. Cary Close Family Law handles all aspects of divorce, including uncontested absolute divorce. Contact our office today to save yourself from common, yet potentially costly mistakes.